BMI had no statistically significant relationship to pathologic aggressiveness, such as extrathyroidal extension, lymph node metastases, or distant metastases. Obesity does not appear to be either a risk factor for more advanced stages of differentiated thyroid cancer or a prognostic factor for poorer treatment response, according to study findings published in PLoS ONE. 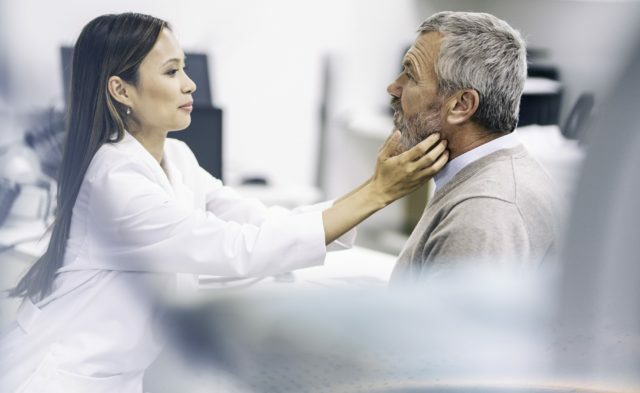 Epidemiologic data have shown that obesity is independently associated with an increased incidence of several types of solid tumors, including thyroid cancer. However, there is a lack of specific research demonstrating a link between obesity and thyroid tumors. In this study, investigators evaluated the relationship between obesity and differentiated thyroid cancer in 1181 patients (88% women and 12% men) who were treated at a single center from 2000 to 2016. Patients were stratified into 6 groups based on their body mass index (BMI) at time of thyroid surgery: underweight (BMI <18.5 kg/m2), normal weight (BMI 18.5 to 24.9 kg/m2), overweight (BMI 25.0 to 29.9 kg/m2), grade 1 obesity (BMI, 30 to 34.9 kg/m2), grade 2 obesity (BMI, 35 to 39.9 kg/m2), and grade 3 obesity (BMI ≥40 kg/m2). At a median follow-up of 7.7 years (range, 1-16 years), BMI had no statistically significant relationship to pathologic aggressiveness — such as extrathyroidal extension, lymph node metastases, or distant metastases — across all 6 groups. BMI also did not affect initial risk, response to treatment, or patient outcomes. No statistically significant associations were observed between BMI and more advanced tumor node metastasis stage in patients <55 years old (stage I vs stage II; P =.266) or in those >55 years old (stage I to II vs III to IV; P =.877). Overall survival also did not differ significantly according to BMI. 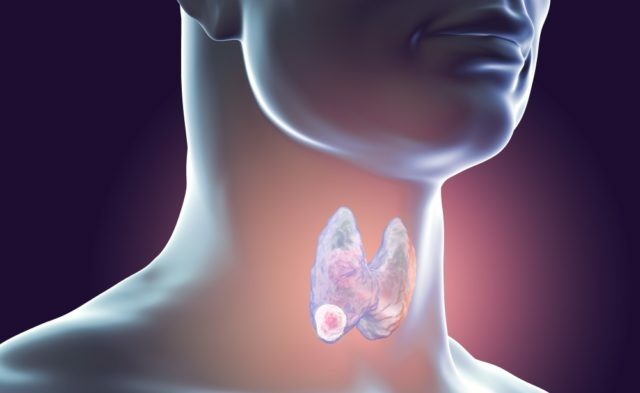 “In conclusion, obesity was not associated with more aggressive clinicopathological features of thyroid cancer in our study,” stated the researchers. Gąsior-Perczak D, Pałyga I, Szymonek M, et al. The impact of BMI on clinical progress, response to treatment, and disease course in patients with differentiated thyroid cancer. PLoS One. 2018;13(10):e0204668.